The Sony FES Watch U isn’t a smartwatch nor does it claim to be – it doesn’t receive text messages and notifications and can’t be controlled via a touchscreen. 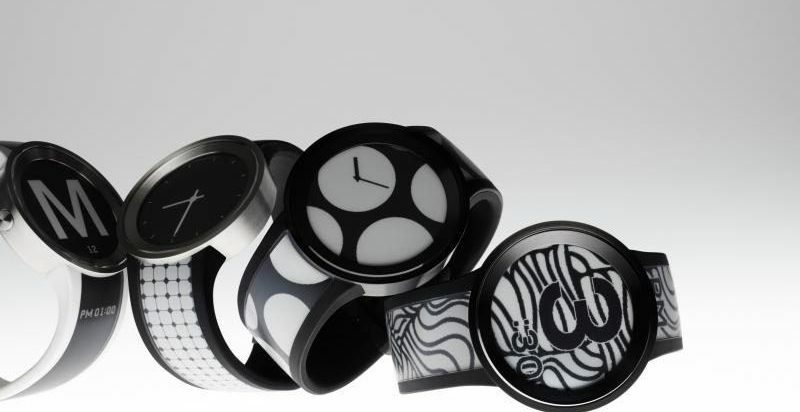 Instead, the Watch U allows for complete user design customization within seconds. With one push of a button, you can change the design of the watch face and strap almost instantly. The watch works via thin, light, and flexible active matrix e-paper. E-paper is essentially a digital screen technology that simulates the appearance of ink on paper. This same technology is used in E-book readers such as the Amazon Kindle. The watch itself is thin, lightweight and made with a stainless steel case and buckle. The design of the watch face and strap is only limited by your imagination (and the image can only be displayed in black and white). The app comes pre-loaded with free designs from a variety of artists, and you can also create your own designs and upload photos via the app. We are not sure whether this fun, customizable watch can compete with the wide variety of smartwatches on the market; however, if you purchase this watch, we are sure you will be able to match your watch to any outfit in your wardrobe.